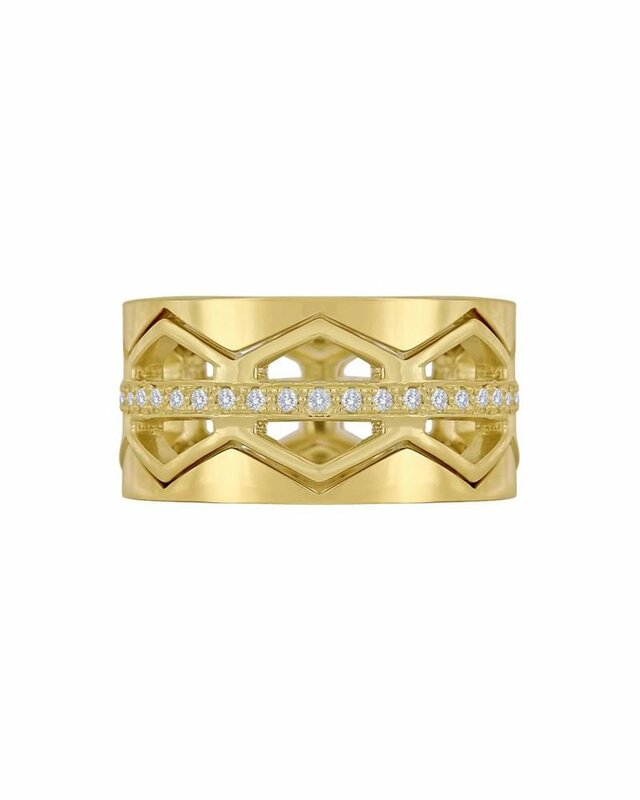 The Zig Zag Ring is Diamonds & 18k Yellow Gold. Stock Size 6, Sizing is Available. 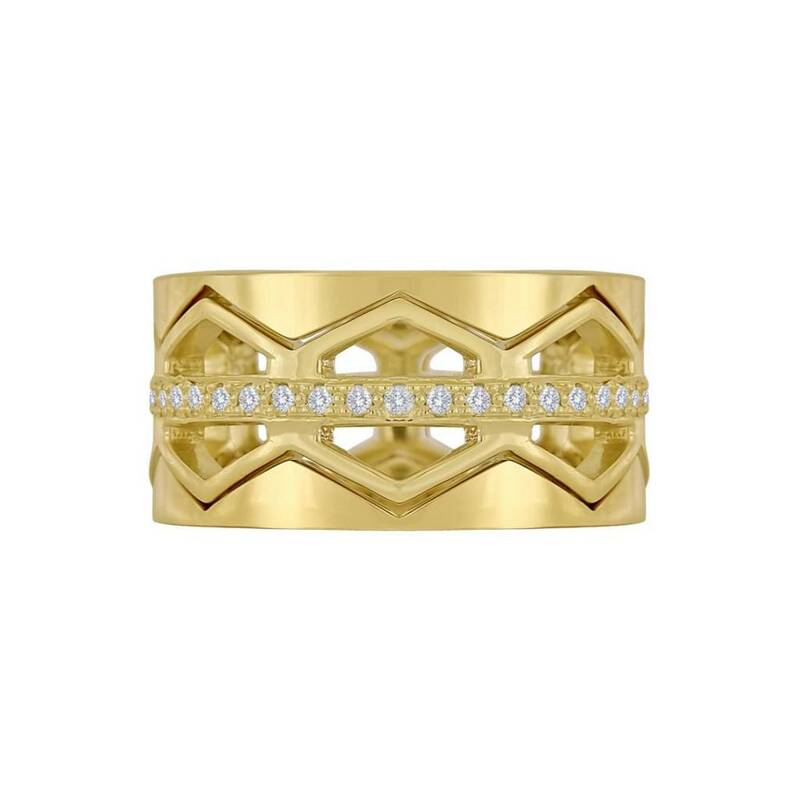 Two Guard Bands are Removable & Sold Separately. Contact For More Details.